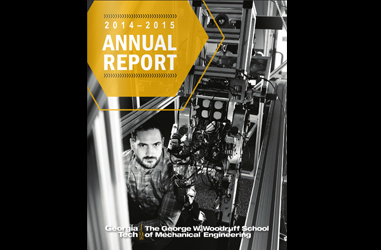 We just released our 2014-2015 Annual Report that highlights the Woodruff School’s accomplishments in the past year. 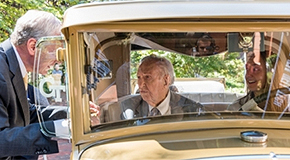 Samuel Ledbetter is Georgia Tech’s oldest living graduate. He earned his degree in mechanical engineering in 1934. The LaGrange, Georgia native had to save up money from a paper route to be able to pay for his education. After serving in the military during World War II, Ledbetter worked in the automotive industry and also became a horologist – a craftsman versed in the science of making watches and clocks. Despite successful careers and raising a family, there has been one item Ledbetter has been itching to cross off his bucket list: getting a ride in the Ramblin’ Wreck. 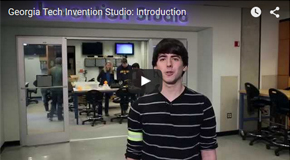 View these training videos to become introduced to the Georgia Tech Invention Studio facilities and equipment. The Woodruff School, ranked among the best graduate mechanical engineering programs in the United States, has 99 tenured or tenure-track faculty members and an additional 15 faculty holding courtesy appointments, whose primary appointments are in other Schools at Georgia Tech. 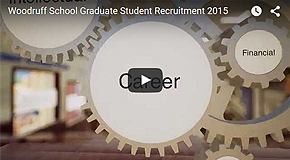 In the Fall of 2015, the Woodruff School graduate program enrolled 374 PhD students and 439 master's students, including 142 MS students enrolled in distance-learning programs. The size of our graduate body, like that of our faculty, provides students a wealth of sources of information and collaboration, not to mention an active social environment. 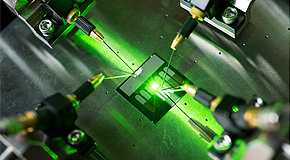 Based on multiwall carbon nanotubes and tiny rectifiers fabricated onto them, the optical rectennas could provide a new technology for photodetectors that would operate without the need for cooling, energy harvesters that would convert waste heat to electricity – and ultimately for a new way to efficiently capture solar energy. 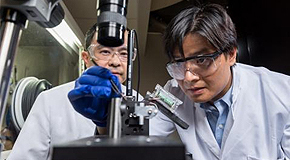 A detailed nano-mechanical study of mechanical degradation processes in silicon structures containing varying levels of lithium ions offers good news for researchers attempting to develop reliable next-generation rechargeable batteries using silicon-based electrodes. 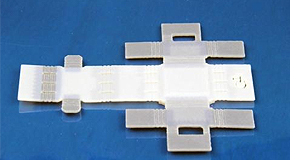 Using components made from smart shape-memory materials with slightly different responses to heat, researchers have demonstrated a four-dimensional printing technology that allowed creation of complex self-folding structures. October is here and we are in the midst of another exciting academic year. Certainly the recently released U.S. News & World Report #2 ranking of our undergraduate ME program has buoyed our spirits and inspires us to aim even higher!